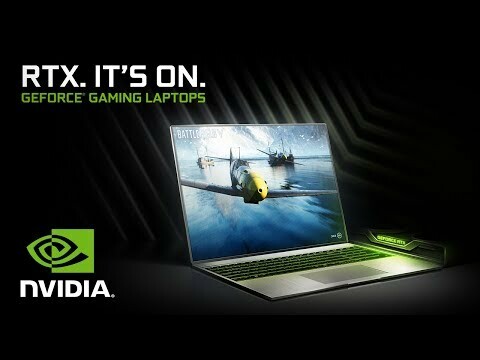 a spectacular gaming experience with rtx graphics The 15” new Razer Blade laptop takes gaming to a whole new level, fitted with a Hex-Core 8th Gen Intel® Core™ i7 processor and NVIDIA® GeForce RTX 2070 graphics with Max-Q Design, for an extraordinary gaming performance. The immense Full HD, 1920 x 1080 display, lets you experience edge-to-edge gaming in an extremely thin form factor with 4.9 mm thin bezels. With dual-channel memory and 256GB NVMe SSD both offer maximum consistency. The per-key backlit keyboard features Razer Chroma software that allows you to modify your keyboard keys separately with RGB lighting. You can even connect up to three external displays for a wide-ranging workplace through Thunderbolt™ 3, Mini DisplayPort, and HDMI. More Memory. More Storage. The Razer Blade 15 comes equipped with 16GB Dual-channel DDR4 RAM, this gaming laptop is ready to do more and store more. The new Razer Blade can be customized to meet a range of user needs as it features expandable memory to 64GB for amazingly smooth multitasking, and includes a 256GB PCIe 3.0 x4 NVMe M.2 SSD for super-fast data access, utilizing a pure SSD solution in a thinner chassis which can also be upgraded. 15.6" Razer Blade, FHD, IPS, 144Hz, i7 8750H, 16GB DDR4, 256GB M.2 NVMe SSD, Max-Q Design 8GB RTX 2070, TB3, Win10 is rated 4.0 out of 5 by 1. Rated 4 out of 5 by MostlyRetired from Superb construction and capability, but.... First class build quality, excellent screen and no "bloatware" included. All functionality is top notch and I do not detect any "coil whine" that some others have mentioned - in fact I find it a quiet laptop for the performance. The compact size is a real benefit on the move. Drops one star for the only negative feature I can find:- Whilst I really like the keyboard and the lighting, it is mildly annoying that the secondary keys (e.g. ? " £ $ etc) do not also light as they become very hard to see in dim light.